Happy Holidays!  I am honored to have the opportunity to reach out to all of you from the pages of Sophisticated Woman Magazine, especially during this special season. December is the perfect month for all to visit and rediscover historic downtown Covington. I invite you to spend part of the Christmas season making new memories visiting our award-winning restaurants and one-of-a-kind locally owned boutiques. The events planned in Covington in December are sure to make the holidays special. The city will be hosting “Deck the Rails,” a great outing for both the young and young at heart at the Covington Trailhead on December 8. The new holiday tradition, “Caroling at the Trailhead,” will return for the second year at the Covington Trailhead on the evening of Thursday, December 13. Local artists will once again be showcased on Columbia Street during the Holiday Festival of Arts and Shop Local Artists Week during the first week of December. Our unique businesses will ignite the holiday spirit with seasonal activities such as “Teddy Bear Tea Parties” at both the Southern Hotel and English Tea Room and the weekend shopping experience “Christmas in the Country.” The Covington Heritage Foundation will again present the History & Holly Home Tour, a walking tour of some of Covington’s finest homes. These events and more can be found on our Facebook pages City of Covington- Office of Cultural Arts and Events, City of Covington or our website Covla.com. offer this month. I wish you a safe and merry Christmas filled with family, friends and joy. As always, it is my honor to serve as your Covington mayor.